What the fifties gave the horror movie was a crop of radiation-grown monsters come to punish us for our sins. Pretty much, they were our sins, given monstrous form. They were there to teach us a lesson, just, all they that had to do that with were claws and teeth, wings and fire. These monsters were impossible, unlikely creatures simply because exaggeration was the only thing that could shake the self-satisfied fifties from its smug recliner, scare it out onto its well-kept lawns. But by Jaws 1975 (a year before for the Peter Benchley novel), heedless scientific progress wasn’t the cautionary tale we needed to be taught anymore. Was it? Well. It might very well have been radiation from the Venus Probe that got corpses climbing from their graves in Night of the Living Dead just a few years before. And in 1974, the acoustic properties of cutting-edge “scientific” farming equipment had done the same in The Living Dead at Manchester Morgue. And? Is it really any coincidence that the USS Indianapolis Quint’s the survivor of, it had been delivering Little Boy, the first atomic bomb humans had ever used on humans? Think about it. Quint says there might have been a thousand sharks there for that feeding frenzy. A thousand sharks getting the taste for human blood. A thousand sharks cutting through the waters a ship had just gone down in. A ship that had secretly been carrying the world’s atomic bomb. Now, imagine if you will that, in 1945, we might not have completely known about radiation shielding. Imagine a loose rivet if you will, one that leaks radiation into the belly of the Indianapolis. Now picture that irradiated portion of the hull sharing its pulsing green glow with one or two of those sharks come in to feed on the lower halves of all these sailors—that is, sharks getting a distinct taste for human flesh—and add that with what Brody researches up, about how we don’t even really know how long sharks live. Which is to say, we don’t even know if they die at all. Then take into account that this particular shark that’s come to Amity Island for the Fourth of July (that is, when America celebrates in gruesome fashion, with mock-bombs in the air . . .), it isn’t really acting very sharky at all, is it? Granted, the initial kill we see—the drunk night-swimmer out by the buoy—that’s just a shark being a shark. Also, the shark coming up for the kid on the raft: that raft could have been a seal from the shark’s angle, right? By the time the shark knew any different, it was too late. But we, and Amity Island, soon come to figure out that this shark isn’t any normal shark. No, this is a monster shark. This is a shark behaving in a fashion not at all in keeping with its kind. First it sneaks into the ‘pond’—the estuary that’s supposed to be safe. Particularly, it sneaks there when there’s such better feeding out on the proper beach. And, once there in the pond, the only thing stopping it from getting to the police chief’s son is one unlucky guy in a rowboat, who quickly gets chewed through. That the son is the target is pretty obvious, from what I guess we’d have to call the point-of-view of the giant dorsal fin, as the shark pulls its first swim-by, its mouth momentarily too full for a second chomp. And, granted, there’s a way to read the story that this shark going for Brody’s son, that’s just to focus the story down to the people who matter—it’s dramatic economy. But another way to look at it is that this shark, it knows who it needs to take out, up on the land: the main authority figure. The one who wants to close the beaches. As far as the beaches and their closing go, this shark, it’s right in line with the mayor. Which is to say, it’s aligned against Brody. And, like the mayor, it’s working events and situations in order to neutralize Brody—just, unlike the mayor, this shark has row after row of teeth, and no voting body to answer to. This shark, it’s thinking. It’s got strategy. It can imagine a goal ahead of itself in time, and then work methodically towards that goal—unlike any of its shark brethren, all locked in the perpetual moment, as it were, operating on mere stimulus-response. Monsters aren’t stimulus-response. Justice is so more complicated than that. Next? Off-screen, this massive thinking shark, it takes out one of the boatful of hunters out chumming the waters—kind of a little dumbshow, illustrating again how unsharky this shark is behaving: instead of running from danger, it eliminates that danger. Understand that, in the open sea, when mating or territory or the current meal isn’t at stake, a regular shark has no reason to stick around when things get hot. No reason to go after a boatful of hunters. Unless that boatful of hunters has, say, insulted it. Meaning? This is a shark that might have feelings. No, this is not how typical sharks act. This shark, it’s special. “Mr. White,” Quint calls it, even, lending his opposition a proper name, not just a species. It’s getting personal, yes. Which we see when the shark, insulted by not one, not two, but three barrels being harpooned to it, proceeds to resist its own survival instinct and turn the predators into the prey. And not just in a single attack, either, but through a steadily mounting warfare of terror, as if—get this—as if maybe this shark, it’s aware that these people on the boat have interiors as well. Thoughts and feelings that can be manipulated to the shark’s advantage. For the whole movie, this shark has been swimming closer and closer to a different identity, a different status. When it focuses all its attention on the Orca, essentially Ahab’ing Quint, it becomes a legitimate monster—a creature of monstrous proportions, acting outside its typical behavior patterns. More or less, it’s doing stuff for what we would call ‘human’ reasons, not shark reasons. So, to wrap up already: how to make this monster? Irradiate a long-lived shark in 1945, give it a taste for human flesh, plant a seed of human awareness in it, and then set it on a decades-long quest to finish the feeding frenzy that got cut short by rescue in 1945. Yes, Quint is on a revenge-arc. Most definitely. He hates all sharks. This shark, though, it just wants to finish its meal. Can you see this shark as Quint’s pulled from the water, into his lifeboat? Can you see those doll eyes taking a snapshot or two? This is when the shark’s a “mere” three meters, say. But, thanks to the radiation, it’s already growing at an accelerated rate. Over the next thirty years, it’ll be eight times as big. To understand this, look at Quint’s story from another angle. The Final Destination angle: sailor escapes what should have been his death, and then, a neat three decades later, that death swims up to his boat, bites him in half. And, the shark itself, it has a story as well. A typical shark, it pretty much needs two basic things: water and food. So, this shark, when it goes atypical and foregoes food in favor of revenge, it’s very much asking for justice to pay it a visit as well (for stepping outside its prescribed boundaries), and it’s only fitting that the thing that finally explodes its head, it’s the opposite of the water it so desperately needs: air (-tank). And, note that for this read of Jaws to actually apply in a way that makes sense, it’s not at all necessary for Quint to ‘recognize’ this shark at the last moment—a tell-tale scar, say, or a missing eye, a notched dorsal fin. Really, Quint’s estimation of all sharks as pretty much just “sharks he hasn’t got around to killing yet,” that almost requires that he not distinguish one shark from the next. His own need for revenge has made him blind, has denied him the ability to discern one shark from the next. Could he, then he might elect not to smash the radio, thus severing all ties with the land and ensuring his own doom. However, that this might be his particular monster come to chomp him, that gives the story a certain elegance, doesn’t it? It’s closing a circle that opened in 1945. Neither is it any accident the “monster” in Jaws, it’s only name—aside from the Latinate—is “Mr. White”—which is a color America never actually calls itself, expect in contradistinction, when referring to all the “other” people of the world by colors. But that comes back to bite us, doesn’t it? That comes back to bite us in half. Jaws is finally, and fundamentally, a story about heedless scientific progress. Specifically, it’s a story about using that “progress” against others. Jaws is a warning of what happens when we do. A bomb was dropped thirty years before the movie came out, but we’re all still living in the fallout, even now. America, it drags an ugly, ugly past behind it. Stephen Graham Jones is the author of sixteen novels, six story collections, more than 250 stories, and has some comic books in the works. His current book is the werewolf novel Mongrels (William Morrow). Stephen’s been the recipient of an NEA Fellowship in Fiction, the Texas Institute of Letters Jesse Jones Award for Fiction, the Independent Publishers Awards for Multicultural Fiction, three This is Horror awards, and he’s made Bloody Disgusting’s Top Ten Novels of the Year. Stephen teaches in the MFA programs at University of Colorado at Boulder and University of California Riverside-Palm Desert. He lives in Boulder, Colorado, with his wife, two children, and too many old trucks. 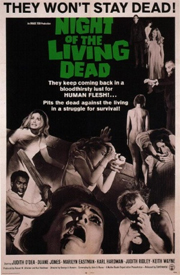 Arguably the scariest offering from the 1960’s, George A. Romero’s Night of the Living Dead is more than the average zombie flick. For starters, it is the original zombie movie, and its original incarnation has served as inspiration for the myriad of humans-eating-humans in media for the last decade, most notably with television/graphic novel series The Walking Dead. In fact, at New York Comic Con in 2012, the creator of the series said his show was to Romero “What Fifty Shades of Grey is to Twilight.” Epic fan fiction. Even Roger Ebert, a budding critic for the Chicago Sun-Times regarded the film as “…something else.” At the time there was no rating system, and often children would show for the monster movies. No one expected the Romero film to elicit such a visceral reaction. Though Romero’s zombies were the stuff of nightmares, the film has a very political and social focal point. It plays on many of the themes from the 1960’s—a time of civil unrest and dissension among the masses, and was one of the first horror films to feature an African American lead. Much of the dialogue from the film was ad-libbed, and though there was a script, it was Romero’s intention to capture as much surprise and candor from the actors, often telling them to “explain” a situation with no further notes than that. In many of these cases, there were only one or two takes before Romero moved on. In a time when cinematography and film were in their prepubescent age, Romero brought a very new—and very dark—insight into what a horror film could be, and how it could touch upon the nerves of an already turbid and volatile apex in a societal realm. Though initially intended to be a dull-witted truck driver, the character of Ben was restructured by the actor Duane Jones. 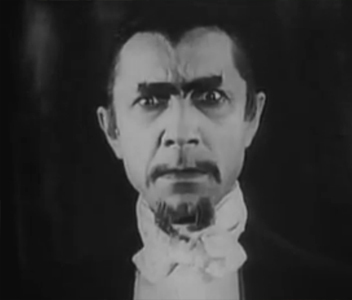 Jones, well-educated and mannerly, decided that if he were to play the character, the character should also be a reflection of the kind of people he knew. He once said he feared that if Ben appeared a lack-wit, that the audience would have a hard time liking him as a hero and respecting him as a leader. The grainy black and white of 60’s era cinematography adds an additional haunting aspect to the film, the focal point of the movie is not the monsters themselves, nor the fear of them. The true core of the film is the fear of the unknown. 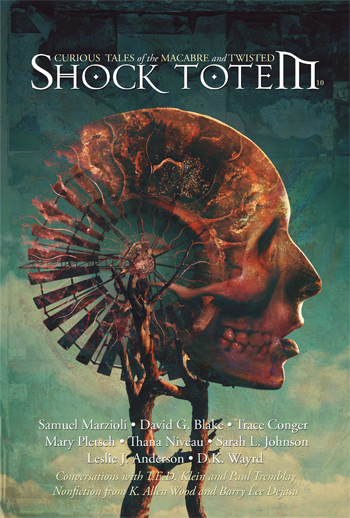 In a world where the dead stalk the earth, they are a known fear. But the unknown fear of other people is in finding that, when faced with our own mortality, most people become monsters and would commit horrifying acts to save their own lives or the lives of their loved ones, and the moral codes that act as a cornerstone of our society and civility dissolve in that. The film seeks to explore what constitutes “moral” and “immoral” in a world verging on apocalyptic chaos. 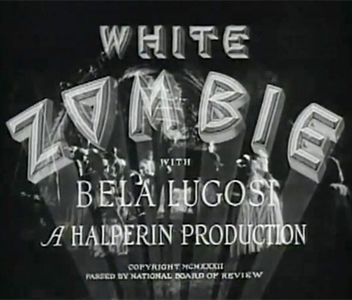 As a movie, the acting is brilliant and the film itself pits strangers in a truly life or death situation to determine what manifests “good.” In a world where the dead come back to life as shambling monsters of their former selves, Romero executes a level of fear—not only from the dead rising, but from those of the living—rendering seven strangers struggling to survive in a world of the sick, the dying, and the dead, proving that the scariest monsters are not creatures of the imagination, but rather are people caught between the fear of death and the fear of the unknown.